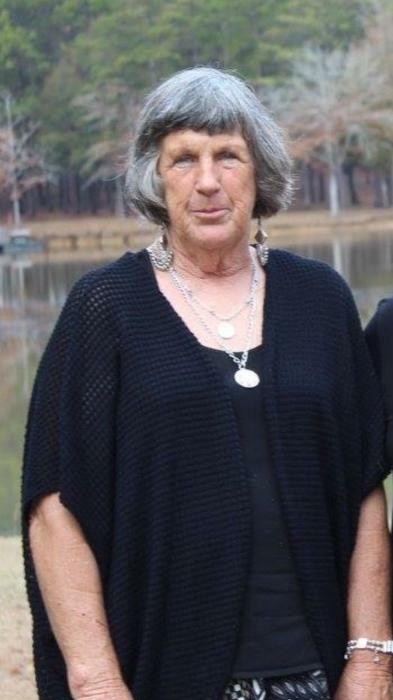 Mavis Lenora Flowers, age 68, of Troy died Wednesday, October 10, 2018 at her home. Mavis was a loving mother and grandmother and had a giving heart to those she found in need. She found her church family at the Eufaula God's Way Baptist Church and loved her church and its members. Funeral services for Mavis Flowers will be held Saturday, October 13, 2018 at 11:00 AM from the chapel of Green Hills Funeral Home with Reverend Randy Stokes officiating. Green Hill's carriage will then carry Mavis to be entombed in the Green Hills Mausoleum. Visitation will be held Saturday from 10:00 until 11:00 AM at the funeral home. Her survivors include; her husband, Mike Flowers, her children, Kendra (Clifton) Steed, Jesse Michael Flowers, Tracy Lamar Flowers and Ronnie Flowers, her grandchildren, Hunter Steed, Holt Steed, Tucker Floyd, Slade Lewis, Madison Flowers and Tyler Flowers, her sisters, Betty Dunn, Kimlen Gray and Maebell Grantham. Mavis was preceded in death by her parents, Melvin and Lorenna Green Dyess, her daughter, Marsha Dawkins and a brother Glen Dyess . Serving as pallbearers will be , Hunter Steed, Holt Steed, Ronnie Flowers, Tucker Floyd, Trent Crawford and Michael Dunn. Honorary pallbearers will be the members of the God's Way Baptist Church of Eufaula. The staff of Green Hills is honored to serve the Flowers family.